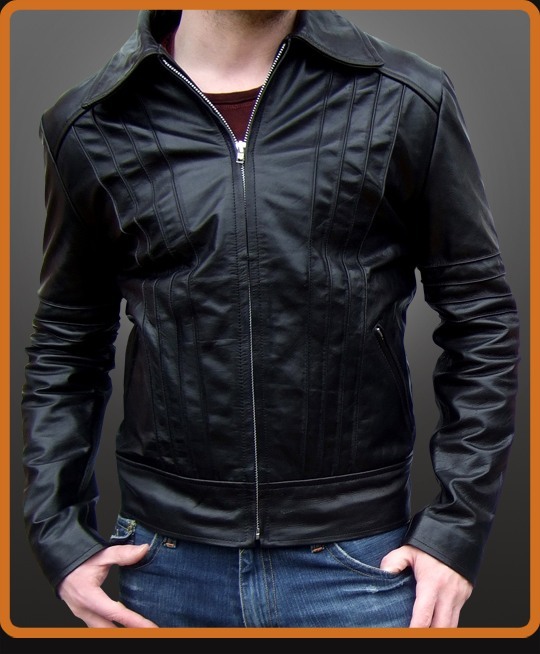 Classic vintage fitted style mens jacket with vertical seam lines on the front and back with matching lines on both sleeves. True 1970's style. Available in Antique Brown and Black.